The SE trim level is the intro package into the 2005 Jeep Wrangler. 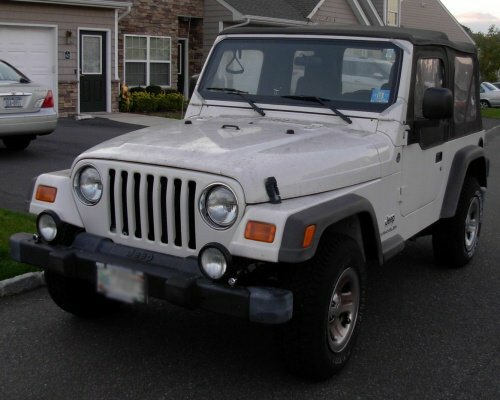 It was available during the entire TJ production run and is the only style TJ to have the 4 cyl engine option. From 1997 to 2002 it was a 2.5L while from 2003 -2006 it was a 2.4 L offering up to 19 MPG highway. It should be noted that the 4.0L I6 engine was an available option in 2005 and 2006. These Jeeps are easy to spot as they have no decal above the Jeep logo. Why buy an SE Trim package? The added fuel economy is one good reason to purchase a 2005 Jeep Wrangler SE. Additionally these are the least expensive Jeeps for that year with some as low as $5,000 – $6,000 used. 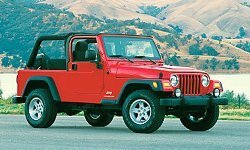 If a 4X4 enthusiast is looking for a base model 2005 Wrangler to build an off-road only rig this might be a good place to start. Hemi Swaps are common for this type of Jeep along with serious suspension modifications.